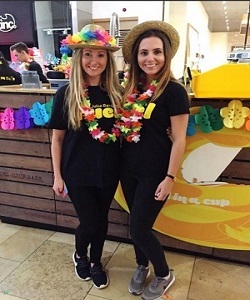 Hire Promotional Staff for Trafford Centre, Manchester Events! The statistics alone are reason enough for any business, big or small, to host an event at Intu’s Trafford Centre, Manchester. An annual footfall of 31million, and an average dwell time of over two hours, it is no wonder that with such a ready audience, brands and businesses will often based promotional events at the North West’s prime shopping location. But all this hustle and bustle, this ‘ready’ audience may make for a busy place, but it is no guarantee of success. Why should customers stop by your store or event? Why should they get involved? It may be the first choice for big name brands, from Zara to Ted Baker, and it may have thousands of people walk through its doors each day, but for any event at Intu’s Trafford Centre, Manchester to be a success, you need to host an event that is fun, vibrant and engaging. At Pitlane Promotion Agency, we started as a company supplying promotional girls and guys for motorsport events, from car rallies to bike racing. 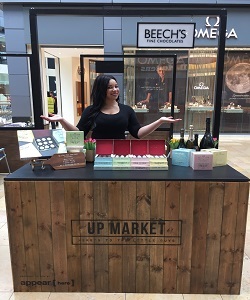 But our team also offer exceptional promotional service for businesses and organisations who host events in venues across the North West, including the Intu Trafford Centre, Manchester. What other services do Pitlane Promotion Agency provide? 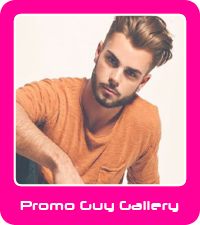 We have local promotional staff who can act as sales representative for your business, as well as professional hosts, gather data and information, encourage customers to take part in competitions and qualify leads, something that is increasingly important in a busy, crowded marketplace. But more important, our staff do all of this in a professional manner. We have thousands of talented, experienced people on our books, from performers to promotional staff, to sales people and experienced demonstrators. We have presenters and MCs too, perfect for grabbing people’s attention. At Pitlane Promotion Agency we are creative, with singers and musicians available for fantastic performances. We also have dancers and performers who can be part of a flash mob, a great way to get people talking about your business. Is hiring promotional staff from Pitlane Promotion Agency expensive? Rather than thinking of hiring our staff as a ‘cost’, think of it as an investment on which your brand will have a fantastic return. But you need the right team. And they are only a phone call away! To discuss your proposed event or project at the Intu Trafford Centre Manchester, call the team at Pitlane Promotion on 0844 800 0071 or email us for a no obligation quotation hello@pitlanepromotion.co.uk. Or use our contact us form and let us guarantee the success of your event!